“Ricardo Reading Mouse” is an educational series of books and games by Melissa Savonoff. Mrs Melissa Savonoff is a happily married mother of five gorgeous children who lives in Queensland, Australia. A Paediatric Occupational Therapist by trade, Melissa is also the author and developer of the adorable “Ricardo Reading Mouse®” children’s educational resources. Melissa delights in seeing children blossoming as they develop skills and joyously learn how to overcome various obstacles and challenges they may face in their daily lives. Providing support and encouragement which empowers parents and caregivers with confidence is also wonderfully rewarding for Melissa who enjoys speaking and presenting at workshops and elsewhere. She strives to inspire parents and education professionals regarding various aspects of child development, learning, and parenting. Since 2004 Melissa has been working from her own private practice with children who have many varying diagnosis and issues such as autism, ADHD, developmental delays, sensory processing difficulties, learning difficulties, low muscle tone, mental health issues etc. Her patients have ranged in age from birth to seventeen years. In recent years, Melissa assumed the role of the CEO and Founder, of ‘Hosanna’ Triumphant Shout Children Pty Ltd, trading as Ricardo Reading Mouse®, where she has been working on researching and developing a series of children’s educational resources, designed primarily for children between the ages of two and eight. 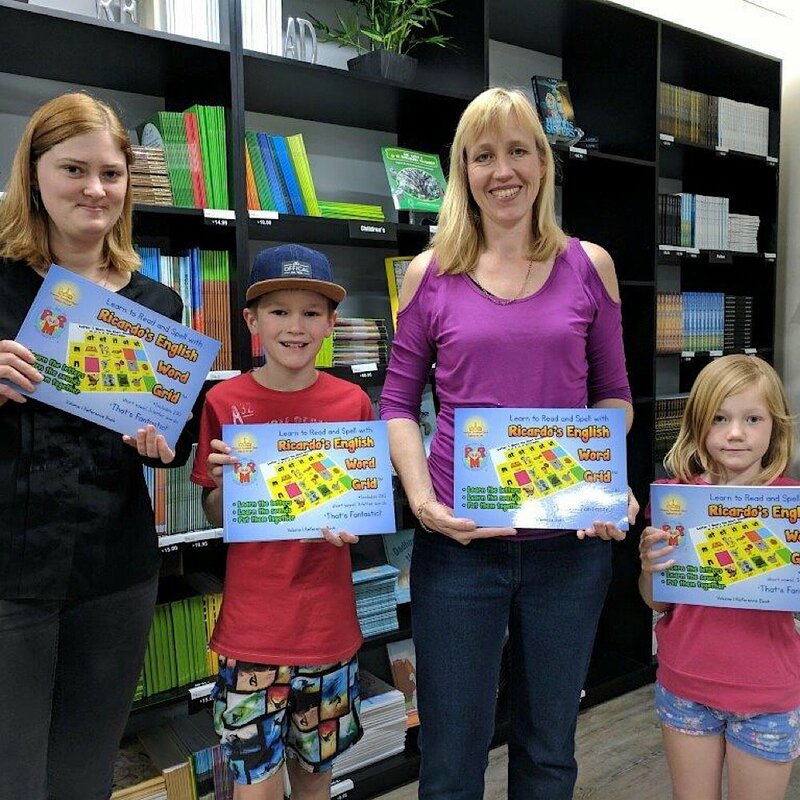 To assist parents/educators/therapists, who are looking for excellent quality, educationally sound products, Melissa has a growing range of beautifully designed programs that aim to help children learn to read, write and spell. The resources available range from apps, to games, to books, songs, and videos, the “Ricardo Reading Mouse®” series has something for everyone. Melissa recently discussed her career, company, creativity and more via an exclusive interview. Melissa Savonoff created Ricardo Reading Mouse. Meagan Meehan (MM): How did you initially come up with the idea for Ricardo Reading Mouse® and why did you settle on that name? Melissa Savonoff (MS): As young children are fascinated by cute little characters, I desired to have an endearing non-threatening little character, who children could relate to and engage with and who could encourage them as they used my educational apps, books, songs and other learning resources. One day, my husband and children and I were brainstorming names and my husband suggested Ricardo and we loved it! It seemed a perfect fit! Ricardo Reading Mouse® was born! Ricardo Reading Mouse® now serves as an inspiring role model to children around the world, encouraging resilience and perseverance. For example, in my app range, he says to children to ‘have another go’ and not to give up, even if their learning gets tricky or difficult. I am also very aware that children love to mimic, so I have specifically incorporated, in three of my apps, a Ricardo animation rewards section, whereby he demonstrates active indoor and outdoor play sports/tasks and household chores/activities as a supportive example for children in their learning, play and daily life. MM: How long did it take to develop the concepts and the resources themselves? MS: I guess you could say, to develop the concepts in the Ricardo Reading Mouse® resource range, being apps, books, songs, videos etc., – it has taken 20 years! I am a mother of five children, ranging in age from 8 years old to 20 years old and I have been and continue to be very passionately involved in their daily educational endeavours. I have been working as a Paediatric Occupational Therapist, in my own private practice since 2004, with children, who have many varying diagnosis – autism, ADHD, developmental delays, sensory processing difficulties, learning difficulties, low muscle tone, mental health issues etc. They have ranged in age from birth to 17 years. Both of these roles, personally and professionally, have provided me with invaluable and significant experience in the research, development and collation of my resource range. In 2013, I started putting pen to paper, so to speak, and seriously commenced product development. For my songs, I started by singing them into my phone late at night in the bathroom when the house was quiet (not great for acoustics!) and I began drawing sketches on paper in my spare time! In recent years, I have become the CEO and Founder, of ‘Hosanna’ Triumphant Shout Children Pty Ltd, trading as Ricardo Reading Mouse®, where there has been continued research and hard work, to ensure beautifully illustrated and designed, excellent quality, educationally sound products, are released to the market. 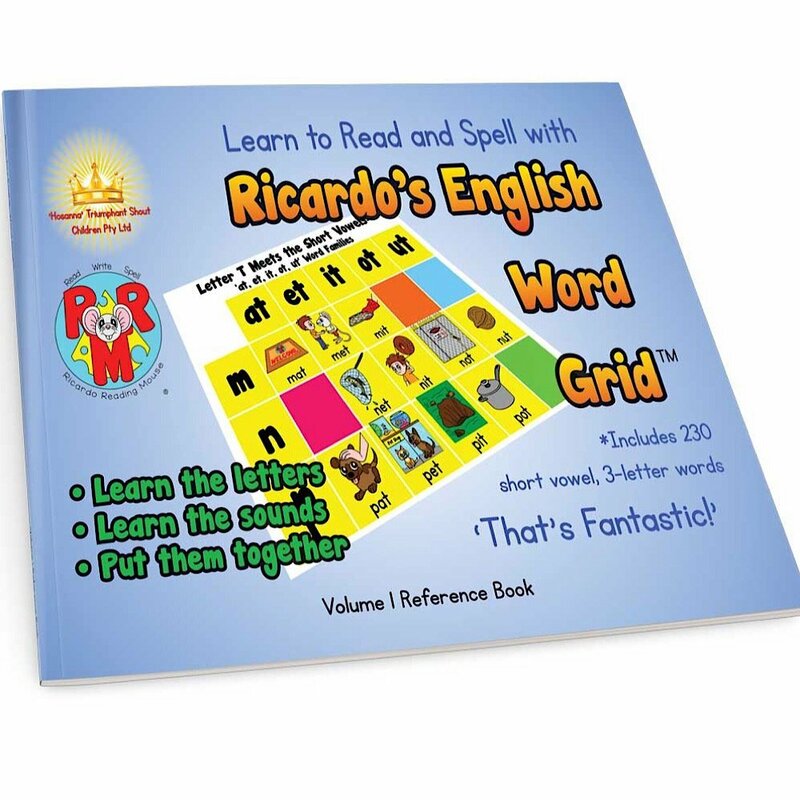 To fulfil expectations and needs of parents/educators/therapists who are looking for such resources, I have a growing range of beautifully designed learn to read, write and spell Ricardo Reading Mouse® resources available. Enjoy! MM: How did you find a developer to work with you on launching the apps, books, graphics, etc.? MS: Great question! Finding someone I could trust, who loved children, was reliable and carried the skill set I needed was tricky. After about two years, we found Adrian, my app developer, who has coded with excellence, all four of my IOS and Android compatible apps. I also needed someone who could bring my sketches and drawings to life in a vibrant, friendly and engaging manner. I found an illustrator, Monica, who has a degree in 2D and 3D animation. Monica has been perfect for me, bringing Ricardo Reading Mouse® to life in a variety of illustration and animations. Monica has also helped me design the Ricardo Reading Mouse® logo and character, which are registered trademarks. My local book publisher, In-House Publishing, has been an excellent source of support and expertise in all things publishing! They have published both of my books and my e-book. I am very thankful to have a dedicated team of people who contribute with brilliance, to the production of all Ricardo Reading Mouse® resources. MM: How many different games/items do you have in the line right now and how many subjects do they cover? MS: To date, I have published two hard copy books, one e-book, four apps, one song album and then various games, posters, workbooks and a handwriting video tutorial series which are all listed on my website. At present, my product range covers English language/literacy and visual processing resources which prepare and teach children primarily in the 2-to-8-year-old range to confidently learn to read, write and spell with success. I have many more resources in my treasure chest, yet to come forth! 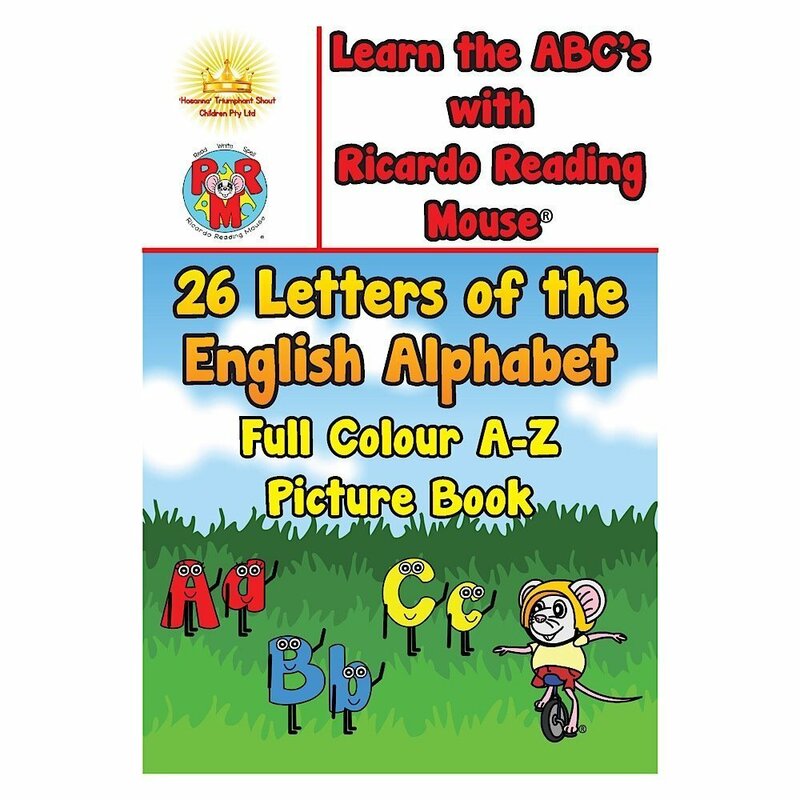 To learn more, visit the official website of Ricardo Reading Mouse. “Ricardo Reading Mouse” is a cute character that teaches children valuable educational and social lessons. Meagan J. Meehan is a published author, poet, cartoonist, and produced playwright. She pens columns for the Great South Bay Magazine, Blasting News, and Entertainment Vine. She is also a stop-motion animator and an award-winning abstract artist. Meagan holds a BA in English Literature and a MA in Communication. She is also an animal advocate and a fledging toy and game designer. Meagan is a contributing editor to Kidskintha writing on Toys, Games, Entertainment, and other topics that are happy and fun!